While country fans are still in mourning over the breakup of Blake and Miranda, it looks like a much more storied love affair has hit the skids. 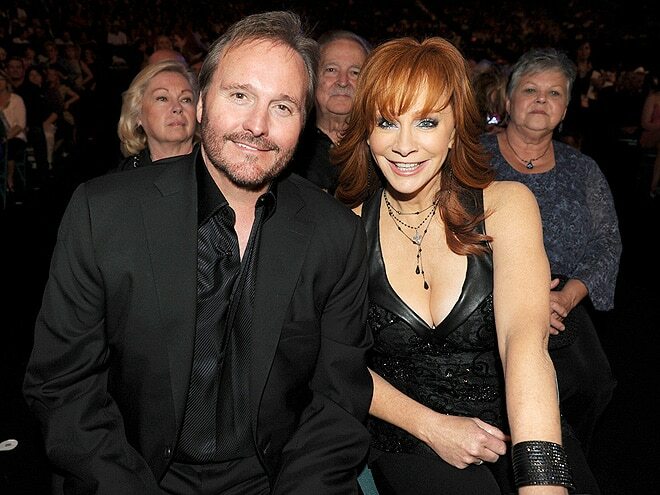 After 26 years of marriage, Reba McEntire and Narvel Blackstock have announced their separation, and basically, ladies and gentleman, love is dead. I just wish Blake Shelton’s BSers that knew why Blake and Miranda divorced would come out now and tell us Reba/Narvels reason for divorcing. Also Gwen Stefani and her husband. Miranda took lot of mud slinging, see where they go with Reba and Gwen! One has an open letter on her site telling how Miranda was the cause of her divorce . I can not believe some lawyer doesn’t say take it down or prove your words. Blake went like a speeding bullet to file, but these others seem to be taking their time…no pre nup!!! What site says miranda was cause of splits? I did not know about gwen too. Gezz…. Its a personal site on twitter….this gal has an open letter telling it was all Miranda Fault for the divorce.. How she was loved and trusted for 10 yrs and she ruined it all by not being fateful…You should have no problem finding it…still there. I’m sure Miranda’s team have seen it, but maybe to them its nothing. as a fan I think she should have to take it down, because she know no more than gossip. The letter has been taken down. Guess she had no photos or proof of her written words!